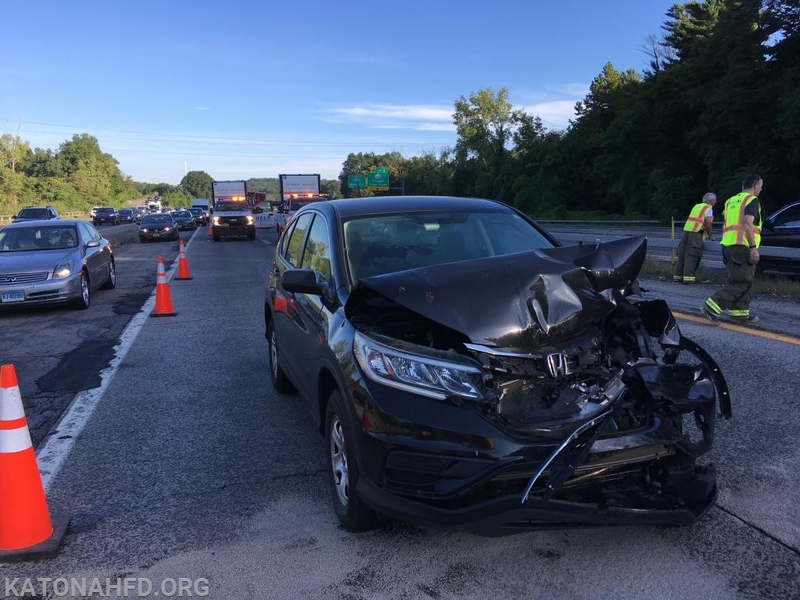 Katonah FD units were dispatched this morning around 0740 to a reported two-car MVA on I-684 south at the height of the post Labor Day rush hour. 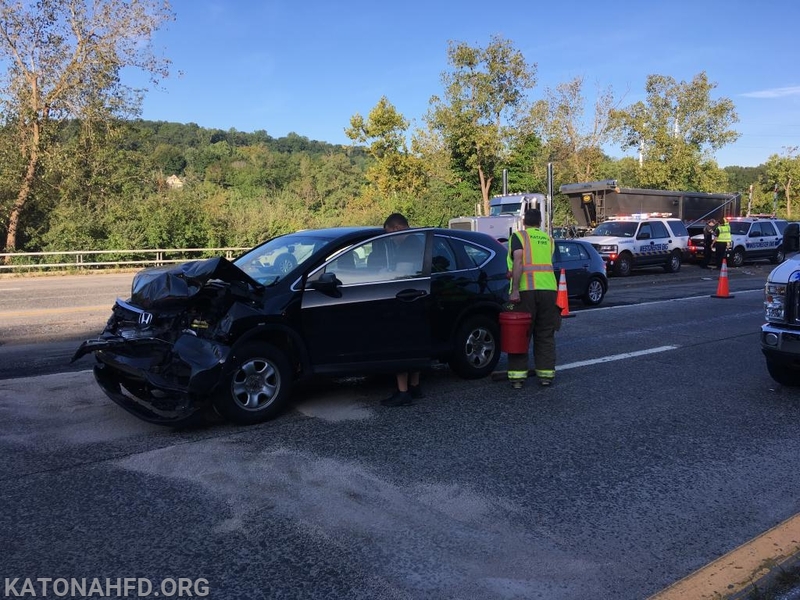 KFD Rescue 17 and Car 2213 responded to the accident, which had resulted in minor injuries, but blocked both southbound lanes at the congested Exit 6 interchange. Katonah units immediately assisted with traffic control and scene safety while the vehicles were removed and one patient was transported by Katonah-Bedford Hills Ambulance Corps. 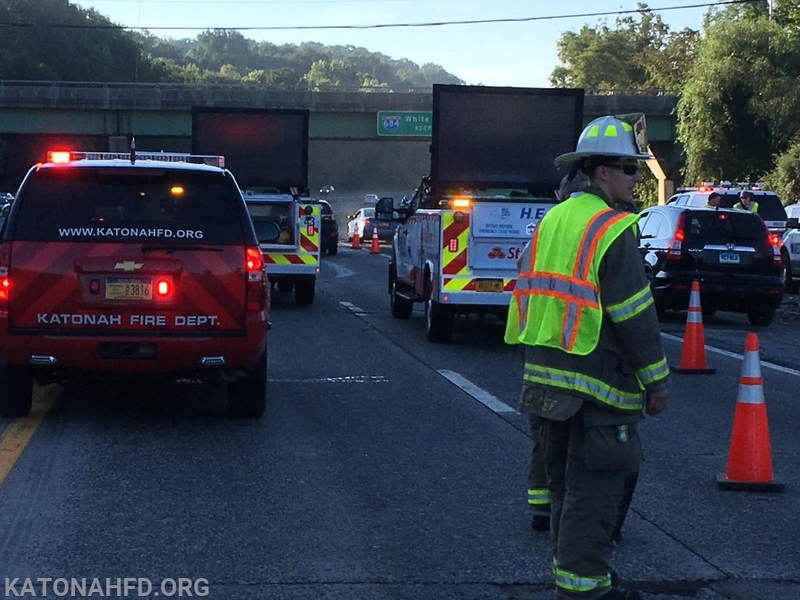 Units were on scene for approximately one hour, with 684 traffic backed up to near Hardscrabble Road.